It’s been an eventful week for NASA and our big red neighbor. People have created stories about that little red dot in the night sky for as long as they’ve gazed up at the stars. From myths about the God of War and little green men, to a more modern perspective looking toward the future, Mars has long served as the inspiration for great stories. 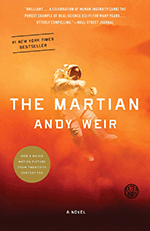 Here at Textbooks.com we thought we’d help celebrate another successful rover landing — not to mention Red Planet Day — with seven great books about Mars that will be sure to ignite your sense of wonder. Mark Watney became one of the first people to walk on Mars, and it looks like he’s going to be the first one to die there. After a storm nearly kills him and forces his crew to evacuate while thinking him dead, Mark finds himself stranded and alone. Drawing on his ingenuity and a relentless refusal to quit, he faces one seemingly insurmountable obstacle after the next. Will his resourcefulness be enough to overcome the impossible odds against him? 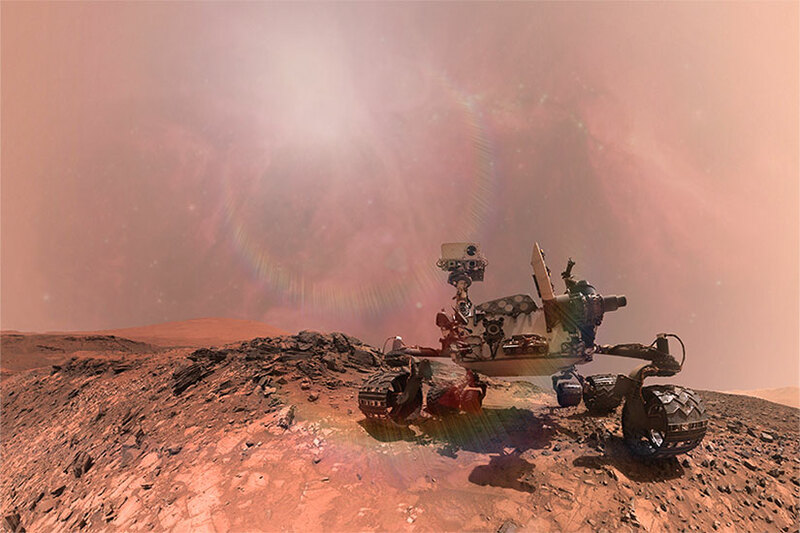 For centuries, the red planet has beckoned to mankind. Now a group of one hundred colonists begins a mission whose ultimate goal is to transform Mars into a more Earthlike planet. But there are some who would fight to the death to prevent Mars from ever being changed. 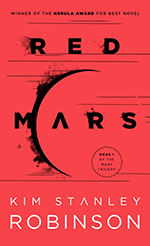 The first book in a trilogy (followed by Green Mars and Blue Mars), Red Mars has been called the most realistic portrait of Mars to date. Not all of the best sci fi books about Mars actually happen on the red planet itself. 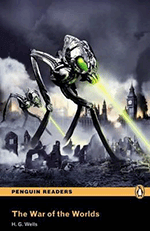 War of the Worlds was the book that popularized today’s concept of Martians, and was the first great alien invasion story. Bereft of resources, Mars invades 19th century London. Facing great tripod war machines armed with heat rays, the Victorian age’s great colonizing power is about to be colonized. 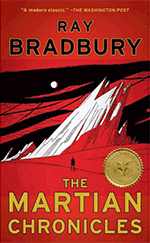 Ray Bradbury's Mars science fiction was unlike anything else being written at the time: a collection of short stories that tell of the human conquest of Mars, and their subsequent conquest by the haunted glamour of an ancient, mysterious native race. In this classic work of fiction, Bradbury exposes our ambitions, weaknesses, and ignorance in a strange and breathtaking world where man does not belong. 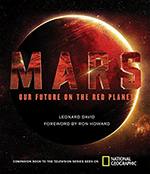 Some of the best Mars books aren’t science fiction. National Geographic peers into the future — to the gravity-defying world of space exploration — with stunning photography, amazing visuals, and strong science. Filled with vivid photographs taken on Earth, in space, and on Mars; arresting maps; and commentary from the world’s top planetary scientists, this fascinating book will take you millions of miles away—and decades into the future—to our next home in the solar system. If anyone has an idea of what it will take to reach Mars, it’s probably Buzz Aldrin, one of the first men to walk on the moon. Celebrated astronaut, brilliant engineer, bestselling author, Aldrin believes it is not only possibly but vital to America’s future to keep pushing the space frontier outward. 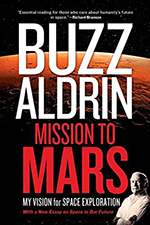 In Mission to Mars, Aldrin plots that trajectory, stressing that American-led space exploration is essential to the economic and technological vitality of the nation and the world. Can astronauts reach Mars by 2035? Do you dare to dream big? Absolutely, says Aldrin. 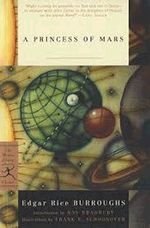 One of the earliest sci fi books about Mars, A Princess of Mars is a classic example of 20th century pulp fiction, full of swashbuckling heroes, planetary romance, and even a bit of Old West action. It’s the first of Burroughs’ Barsoom series, which inspired a host of the best-known 20th century science fiction writers, as well as many scientists, including Carl Sagan, who read A Princess of Mars when he was a child. Have some book recommendations you’d like to share? Join us over on Facebook and let us know about them.